Imagine our surprise when we came around the bend while shopping and discovered a garden filled with frogs…well, frog sculptures, that is! 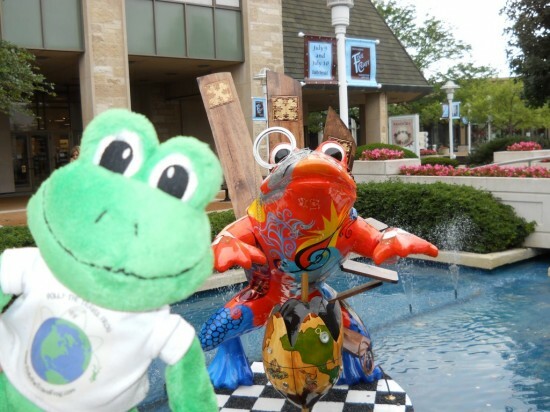 Located just out of Chicago in Oak Brook, Illinois, we found our frogs at the Oakbrook Center, which boasts six major department stores and 160 shops and restaurants all within a lush garden setting. It was very nice! 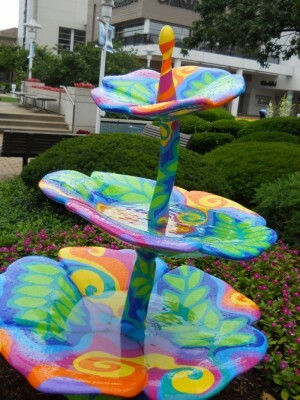 The sculptures, entitled In Bloom, will be displayed from May 19-August 21, 2011. After the exhibit closes, the sculptures will be auctioned and the proceeds of the event will be given to HCS Family Services, an organization dedicated to improving the lives of individuals and families that reside in Southeast DuPage County. 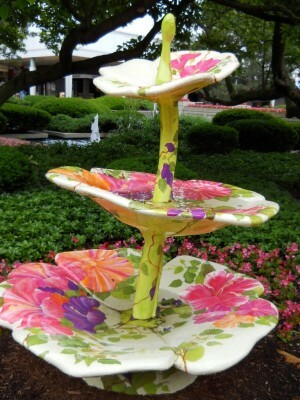 Included in the display are over thirty one-of-kind fiberglass was frogs, birdbaths, and benches. Each one was decorated by members of the community and/or local businesses. 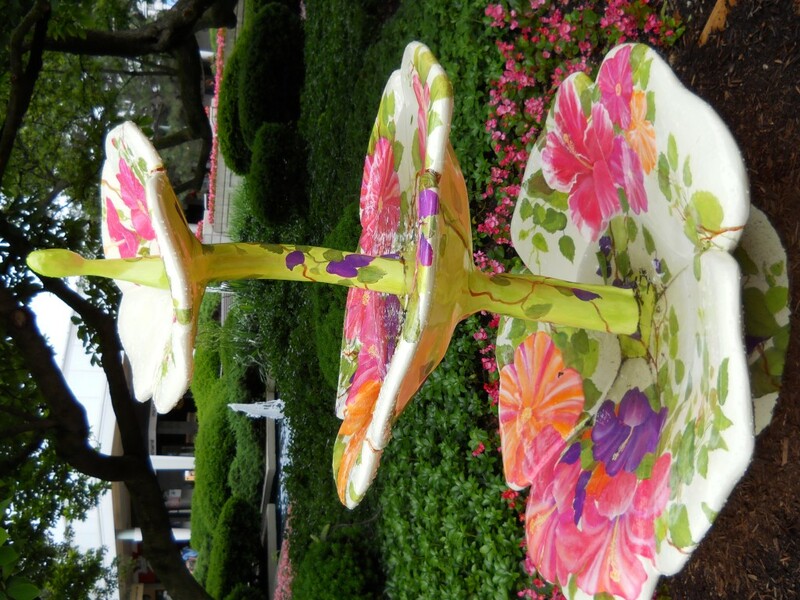 The flower-shaped birdbaths were beautiful, and I would love to have one of them in my flower garden at home! I hope they bring in top-dollar at the upcoming auction! 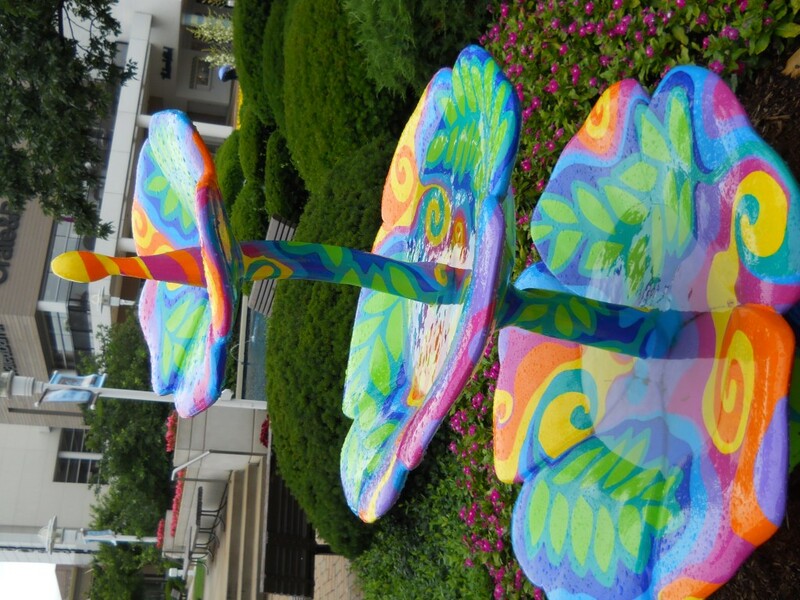 Isn’t it amazing how this is the same sculpture, but it looks totally different because of the artist’s choice of color and design. I love how each frog seems to have a different personality. 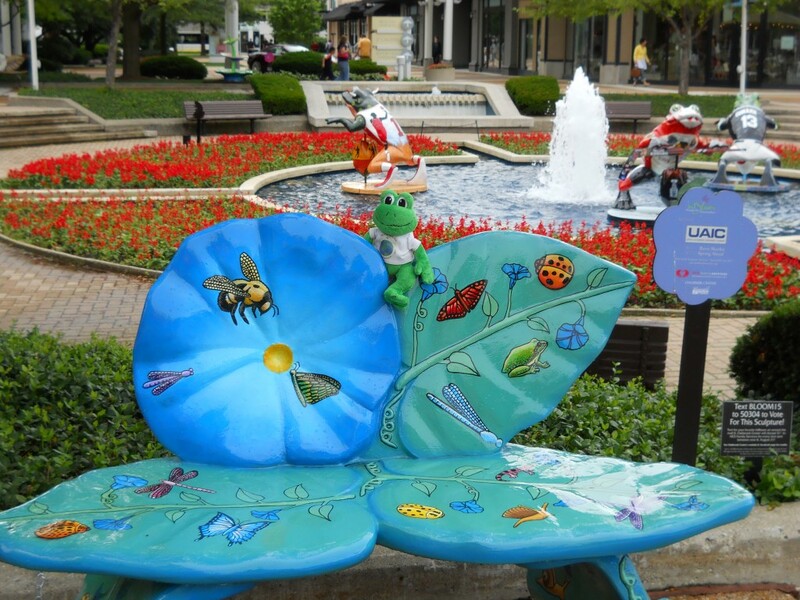 The people who created these whimsical fellows really did a great job! This looks like just the kind of place I’d like to visit. I can’t believe I never heard of it! Beautiful Pictures. 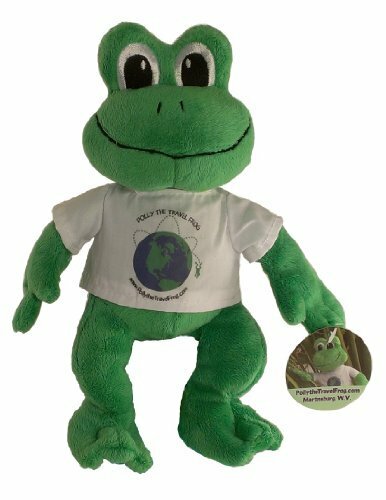 I hope they make lots of money when they sell the frogs. 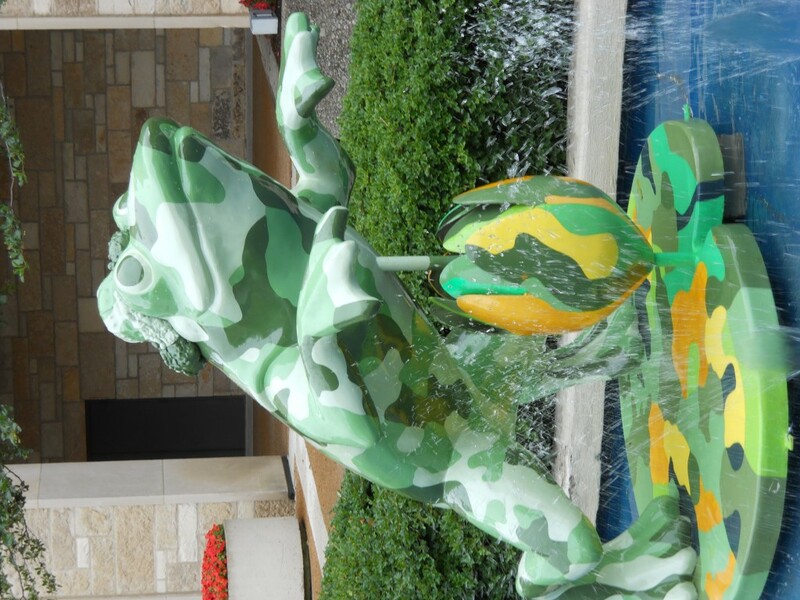 Hey, love the frogs including Polly, flowers!! 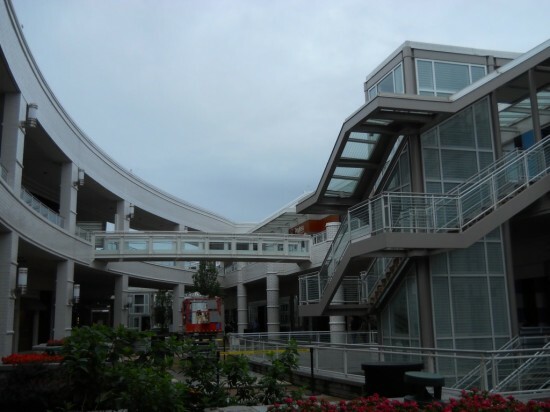 Looks sooooo pretty there!! LOVE the WATER!!!!!!!!!!!!!!!!!!!!!!!!!!!!!! Thanks, K.W.! Polly had fun! Polly is so awesome!The frogs were so colorful! The flowers are pretty.I hope you enjoyed it there! Thanks so much for writing to me! 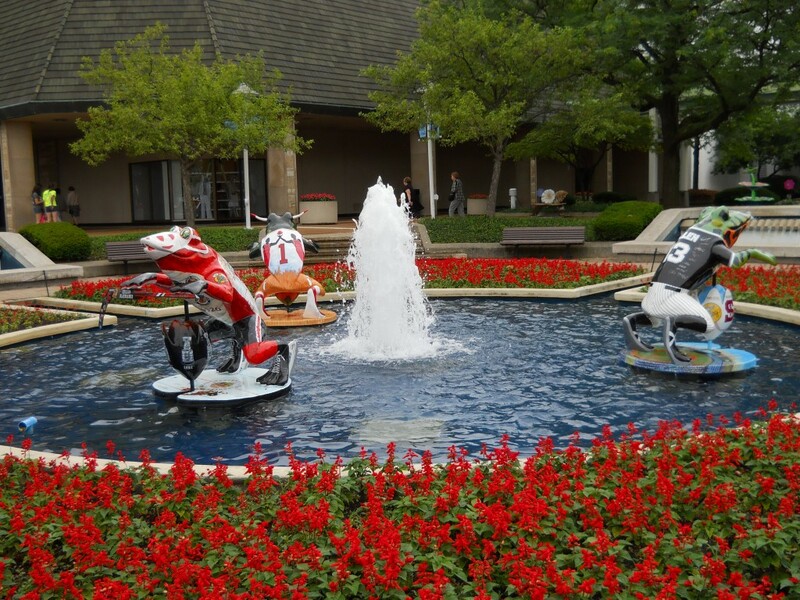 I really enjoyed the garden display at the Oakbrook Center. 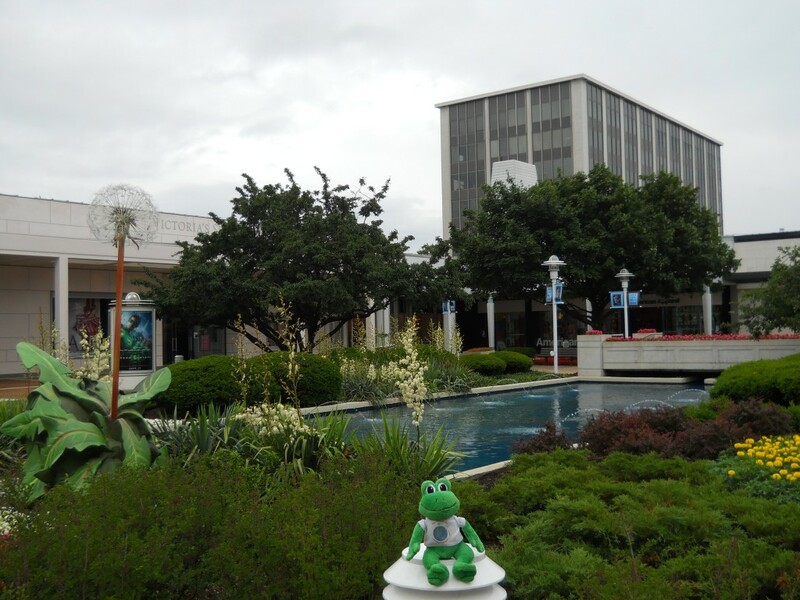 I’m a frog after all, and frogs love water! 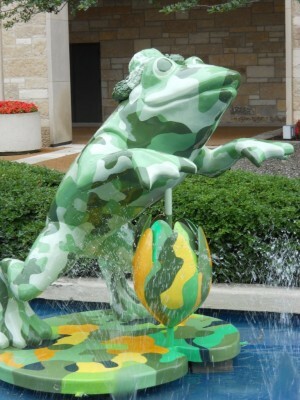 I thought the artists that painted the frogs were very talented.